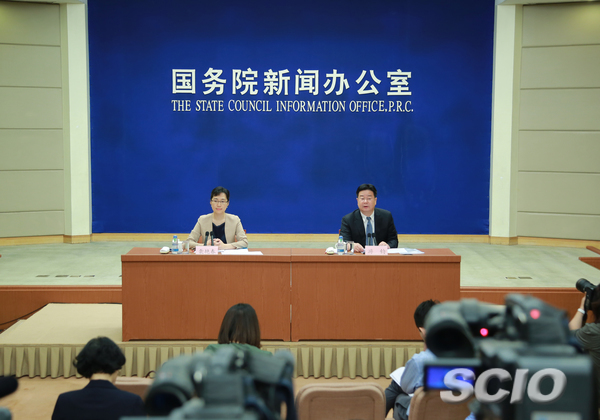 The central government is adopting an adjustment fund system for the basic pension covering employees of enterprises to address the different situations among provincial regions and ensure punctual and full pension payments to retirees. The State Council, China's Cabinet, said on Wednesday that the system, which will be put in place on July 1, will be based on the current pension system and will not add to financial burdens on businesses and their employees. The adjustment fund system will draw a certain portion from provincial pension fund pools and redistribute it later, based on 90 percent of the average salary in each region and the number of people that should be insured. The new policy will be the first step toward nationally coordinated pension plan that will build a sustainable basic pension system, the document said. On Monday, Premier Li Keqiang said in a written instruction that coordinated efforts should be made to ensure the raising, allocation, and management of pension funds under the adjustment system. Last year, the national pension insurance fund received 3.3 trillion yuan (US$523 billion), spent 2.9 trillion yuan, and had a surplus accumulated over years of 4.1 trillion yuan, according to the Ministry of Human Resources and Social Security. Pensions were paid on time and in full last year, but provincial regions saw increasing disparity in their insurance funds due to the differences in their economic growth and ratios of workers to retirees, You Jun, vice minister of human resources and social security, said at a policy briefing hosted by the State Council Information Office of China on Wednesday. Surpluses are mainly concentrated in eastern regions, such as Beijing and Guangdong province, but other places, such as Liaoning and Heilongjiang provinces, have pension fund deficits, You said. Because of the provincial imbalances, a national adjustment was called for, the vice-minister said. Some places will contribute to the national pool and others will receive funds more than they submitted to the central government, he said. The new method will increase the China's overall ability for risk management in pensions, he said. The central government will continue supporting local governments in pension distributions. Last year it provided 440 billion yuan in subsidies, ensuring punctual payment in full to retirees, You added. Zheng Gongcheng, a professor of social security at Renmin University of China, said the new system will help remove inequities by unifying pension insurance around the country. "Workers and enterprises will pay at the same ratio and systematic unification will lead to an equality, which is the first and vital step to build a nationally coordinated pension system," Zheng said.